Android OS is the most popular smartphone OS in the world currently. While the reasons for this are subject to discussion and can make up a whole blog post for that matter, one thing is certain, most Android phones need to be cleaned up. It's the only sure way of ridding them off temp files, junk files, cache files, data redundancy among other issues that slow down Android run smartphones. This is not a reserve of the low tier ones, but also the high-end premium smartphones. The need for the best android cleaner and optimizer cannot be underscored enough. 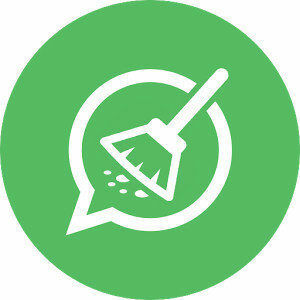 We have conducted extensive and intensive research on the best android cleaner app and have combined a lean list of three. We couldn't be more glad to share it with you. Clean Master comes in second for reasons not too dissimilar from Android Data Recovery. It's packed with features that are a must-have in any reputable android cleaner app. Junk Cleaner which, as the name suggests, does away with junk, cache and residual files that are culpable for slowing down your phone. The pro version frees up storage space by clearing cache from social popular social media apps such as Facebook, WhatsApp and Instagram among others without getting rid of the files that make them run efficiently. A Photo Vault dubbed Private Photo that securely encrypts your photos and keeps them from the view of every person but you. It's a handy feature since most of us have photos we just want to keep for ourselves. Boost Mobile that accelerates the speed of your phone by cutting your RAM some slack. Wi-Fi Security that detects unauthorized connections and bogus Wi-Fi hence securing your phone from insecure Wi-Fi, public or otherwise. Battery Saver that stretches your battery life and saves battery. This, it does by hibernating apps that aren't in use. Other features included are Applock that secures apps with a pin or swipe pattern, charge master that ensures your device doesn't overcharge, app manager for backing up and uninstalling apps and game booster for speeding up toad times for games. Download Clean Master on Google Play Store. Du Speed Booster has a variety of key functions for any Android Cleaner app that's worth its salt. It is beautifully designed and has functionality that matches. A speed accelerator that accelerates your phone by up to 60% and boosts the speed of your device's games by up to 50% and boosts FPS. Diagnose your speed with just one touch. Clean up junk from both your SD card and your primary storage with a simple touch of a button and increase your phone's speed in doing so. App Manager that enables you to easily manage all apps installed on your phone. Speed tester that assesses your upload and download speeds. Security guard that acts as an antivirus by scanning your device and protecting it from malware. CCleaner frees up your space by deleting empty folders, cache data from apps and phone histories. Below are some of its features. Easy to use with a lean interface. Optimize and track the usage of RAM and install multiple apps at once. Doesn't utilize CPU as much as other app cleaners do. Create more space by removing junk, deleting empty folders, clipboard content, browser history etc. Get rid of texts and call logs in bulk. Download CCleaner on Google Play Store. Besides the above Android app cleaners, there is a workable desktop free application named Tenorshare ReiBoot for Android. 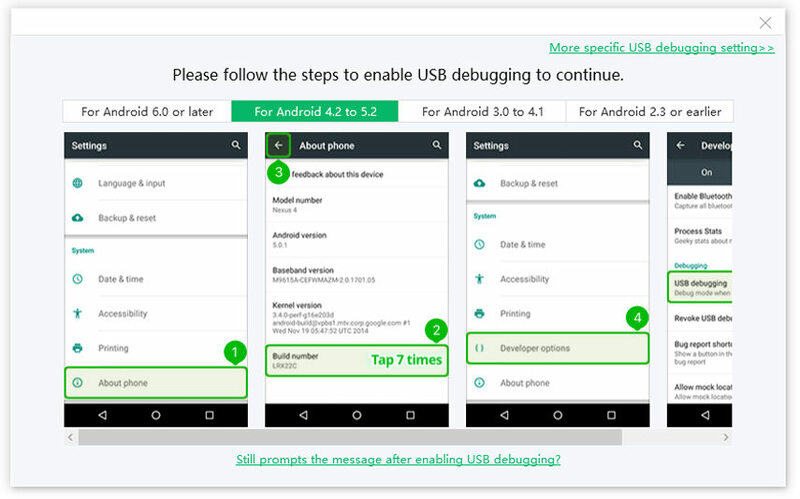 You might as well install it to any Windows-based computer, connect your Android device to it, and then use ReiBoot for Android to clean Android system cache. All the apps listed in this article have free downloads that come with limited functionality. To make the most of them, purchase the full version. We've tested them and are certain that they offer what they claim to. By the way, Tenorshare Android Data Recovery is one of the best Android data recovery software. It is a simple easy to use tool for Android users who've lost their contacts, messages, photos etc. 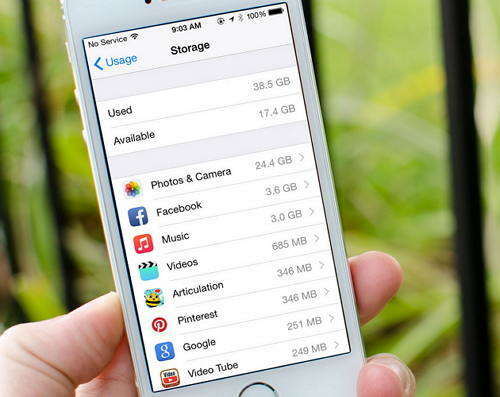 Users can recover data both from their phone's internal and SD card. With it, you can recover important files that you've accidentally deleted. For efficient data recovery, download and try it out.